The Decked Company makes some awesome pickup bed organizers that come in different models to accommodate many popular truck models. The product is made with a durable steel frame and has steel handles that last. 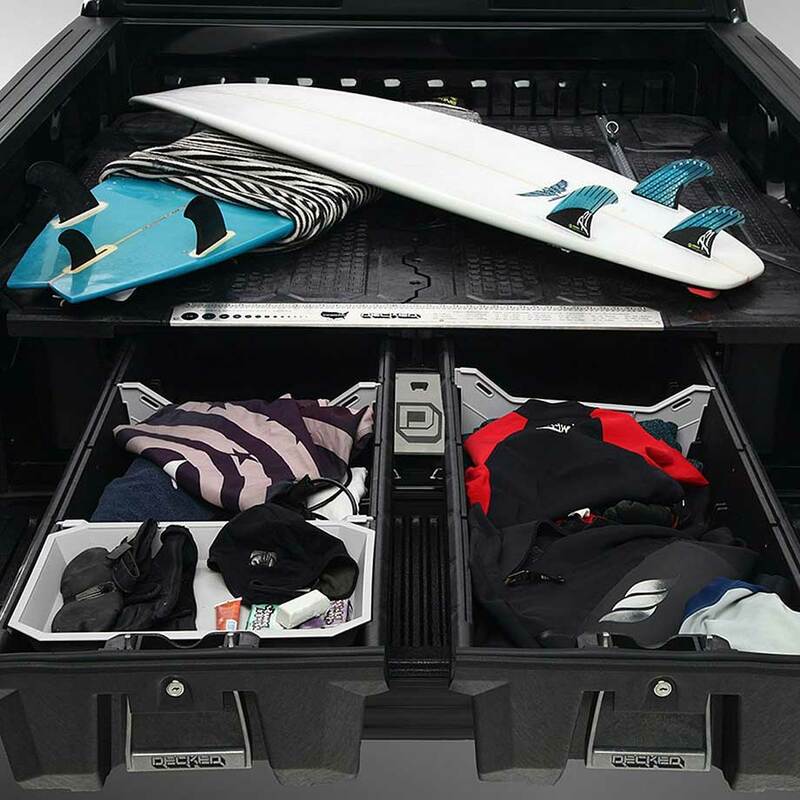 A truck bed organizer is a great gift for anyone that that uses their truck a lot. Some guys live out of their truck, so an on organizer in the back makes life a lot easier. 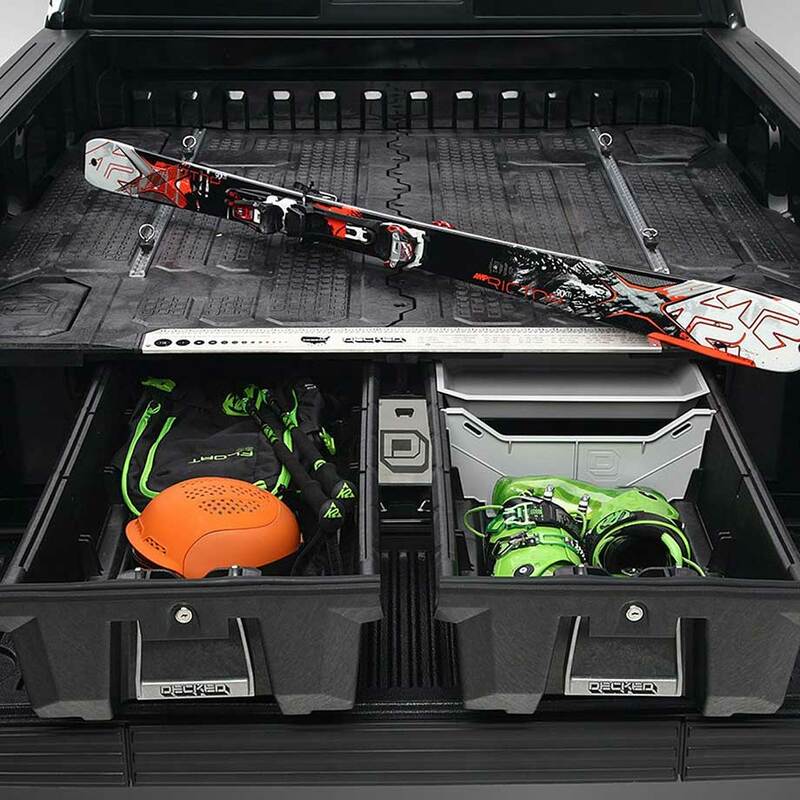 A great thing about these organizers is that they do not require any drilling into the truck. They use J hooks that attach to the tie downs to secure the bed. The organizer is very strong and has a 2000-pound load rating on the top. The drawers are rated at 200 pounds each. The product is built in America, spatially efficient, ergonomic, and the drawers are waterproof. There are some cool accessories like locks, trays, dividers, drain plugs, and many others. If you have questions or comments leave them in the comments below.